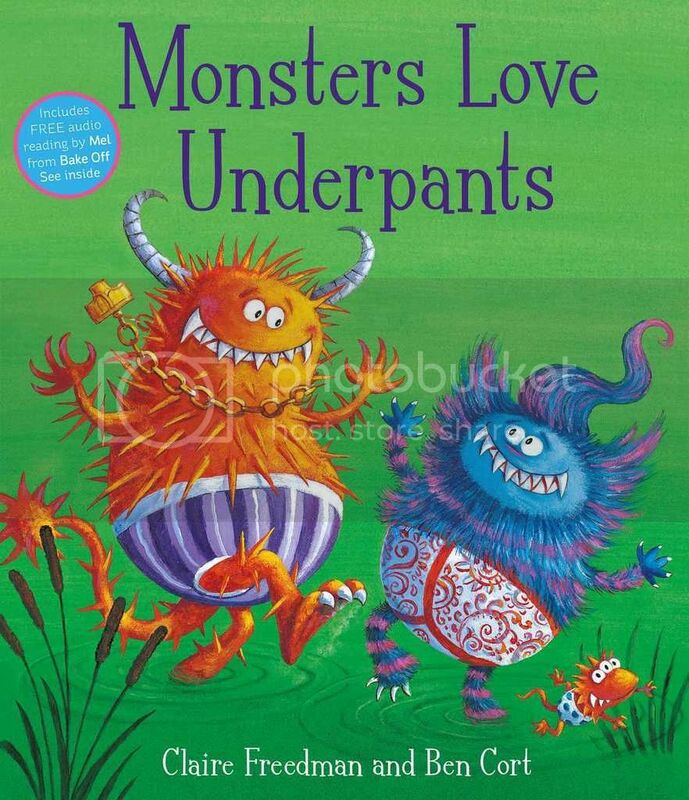 Monsters Love Underpants by Claire Freedman & Ben Cort (review copy) - Underpants are monstrously funny in this playful picture book from the team that brought you Dinosaurs Love Underpants and Pirates Love Underpants. To creep around, all scary! Monsters around the world have different ways to scare, but they all share a love for zany underpants! Every Saturday night, you will find them in a secret cave, showing off their pants as they dance the Monster Bop, but they have to make it home before the sun comes up. After all, who would be scared of monsters in pants that were stripped and dotted? From Goodreads. Monsters Love Underpants by Claire Freedman & Ben Cort is a fun and quirky story that children will love. Brightly coloured and very silly, this book takes the monsters children are scared of, and makes them seem silly and ridiculous and no longer scary. The rhythm of the rhyming couplets will keep children engrossed, while the fantastically zany monsters in their garish underpants will have children giggling away. Monsters Love Underpants also includes a QR code for a free audio reading of the story by Mel Giedroyc from Great British Bake Off, so children can have the book read to them and be entertained if mum or dad need to get on with something else. This looks like an amazing book! I love the cover! Thanks for sharing your review.